If you've got to run your motor, why not do it with one the following motorsailers designed to fill the niche of a trawler/sailboat hybrid? Some say old sailors never die, but rather they just trade in their sailboat for a trawler. What trawler shoppers should really consider is a motorsailer. With such a choice, they'll get trawler looks, stability, performance, and accommodations with the option of hoisting a sail or two when the conditions are right. Motoring under sail adds speed and stability and lowers fuel cost and engine wear (see Doane's article referenced above). Additionally, the pilothouse on these boats offers excellent protection from the elements so you can stay dry and warm in nasty conditions and extend your sailing season earlier in spring and later in the fall. The following choices are presented in no particular order and represent a wide range of costs, accommodations, and styles. I find each one of them to be an appealing alternative for those with a strong aversion to powerboats. Island Packet brings to mind thoughts of classic design married with quality craftsmenship in a conservative package. There's nothing wrong with those traits, and in fact, I actually admire them. But occasionally Island Packet breaks from that formula (Anyone remember the Packet Cat?). The SP Cruiser offers a great cabin layout (Love the twin berths in the guest stateroom!) and unique lounging space in front of the pilothouse on deck. 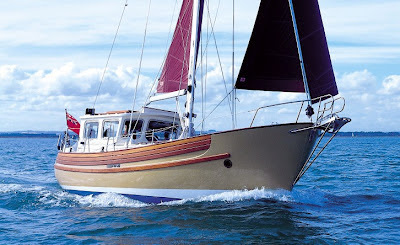 She also comes with Island Packet's full foil keel and fully automated sail handling. As with her sibling Island Packets, the SP Cruiser doesn't come cheap, but you still get a lot of value in a well-built package. Check out the midship's cockpit just aft of the mast! 2) Nordhavn 56MS (LOA: 57'5", Beam: 16'7", Draft: 7', Displacement: 95,000 lbs.) This is a very serious boat that offers Nordhavn's well-known reputation for seaworthy trawlers and build quality that will satisfy discriminating shoppers who have the grand budget to afford a 56MS. The 56MS has a truly oceanic range (~3,000 miles @ 6kts) under power alone, but the sailing rig makes the range truly unlimited and provides stability and a back-up for the big diesel. Don't expect the sails to make this beast tack and reach like an America's Cup racer given her 95,000 lbs. displacement, but Nordhavn's parent company (Pacific Asian Enterprises) does have a history of building quality cruising sailboats (Mason Sailboats). Is that a spinnaker on this massive motorsailer? Why yes it is! The Fisher 34 is one of those rare boats that looks like she can take on the world. Her bow is powerful and conjures images of spray being tossed aside as she plods through ocean swell after ocean swell. And to balance out the power of the bow is a salty canoe stern. Her pilothouse is very purposeful, with an almost commercial fishing boat look to it. Her reverse angle windshield can shed gallons of water should you find yourself motorsailing in gnarly conditions. She's available in either ketch or sloop rig and offers traditional accommodations down below. But with looks like that, who really cares about accommodations? I'm a big fan of designer Ted Brewer, so it's only natural that I include one of his cruising designs in this list. This little pilothouse cruiser offers comfortable accommodations for two. She features 6'5" of headroom, a private head and dual steering stations. And perhaps best of all, the Nimble Kodiak is trailerable! This boat just screams "We're going cruising!". In contrast to the designs above, the Fales Navigator features a pilothouse pushed far forward of midships, giving her a different look and an alternative cabin layout. She also features a very nice sundeck with comfortable seating and an exterior steering station on top of the deckhouse behind the mast. The Fales Navigator is also notable because she was designed by Bill Crealock, who once said, "Seaworthiness in a cruising boat has to be the No. 1 consideration. It doesn't matter how cute the boat is if it doesn't get the cruisers to their destination in one piece." If you're looking for an affordable (<$50k), seaworthy pilothouse motorsailer, the Fales Navigator is worth a peek. Can you see Crealock's design work? Bonus Boats: I have a hard time ending any list of favorite boats, and so I offer you two bonus boats, one from each extreme of the price and length spectrums. I love pocket cruisers and this diminutive little pilothouse from Com-Pac is no exception. She offers many of the features of much larger pilothouse sailboats such as wheel steering in the pilothouse and tiller steering in the aft cockpit, a two-cylinder diesel, and a roomy v-berth yet is lightweight, shallow draft, and easily trailerable. 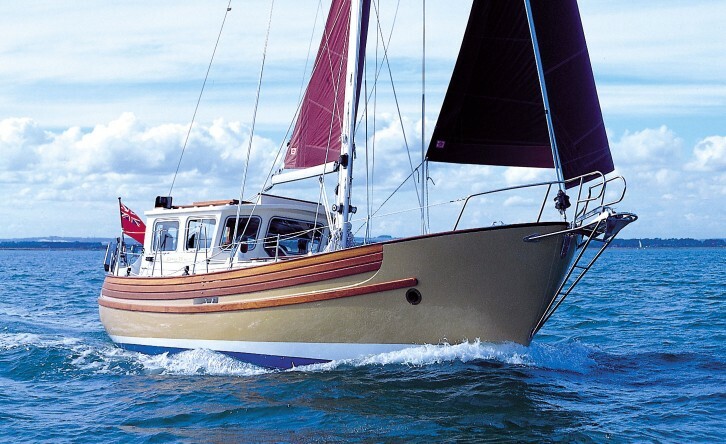 Who says you've got to have a Nordhavn 56MS to have a proper pilothouse motorsailer? The little motorsailer that could! This boat defies all traditional pilothouse motorsailer logic. First, it's a multi-hull design and the only true pilothouse motorsailing catamaran I can think of. Second, take a close look at the rig in the photo below. Does it look weird? That's because there's no mainsail or boom. 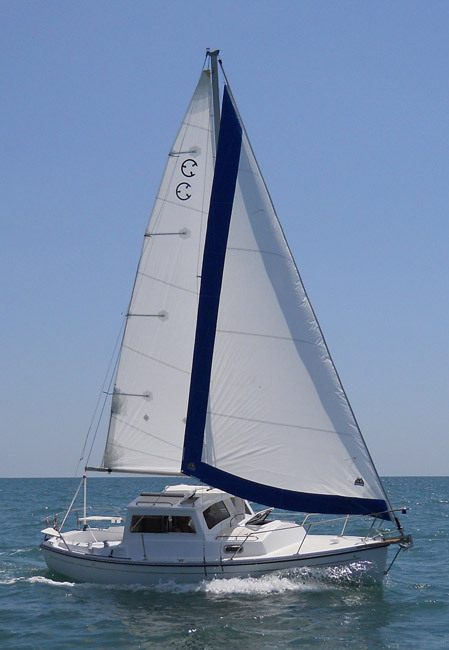 The Bamba 50 gets by with just an oddly shaped headsail on an extremely tall mast. If the boats above are too traditional, you might be the perfect Bamba customer. Nordhavn trawler and a Lagoon cat. I do indeed like Diesel Ducks and most George Buehler designs. Truth is, I'd forgotten about the duck! Truly a powerboat/trawler with a mast. Thanks for sharing. 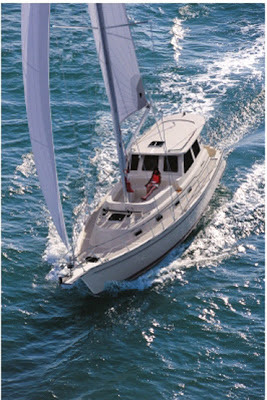 add a "Cat Fisher" to your list - although short it truly is a pilothouse multihull motorsailer. I'm a big fan of the Finnish built Nauticat. Don't let the name fool you as these are all monohulls but they are really beauties. Several designs even come with saunas (the will inevitably be turned into storage lockers). Happy sails! The Nauticat is best of the bunch by a mile. Have a look. Does anyone know of a sea trial report on the Com-Pac 23 Pilothouse? 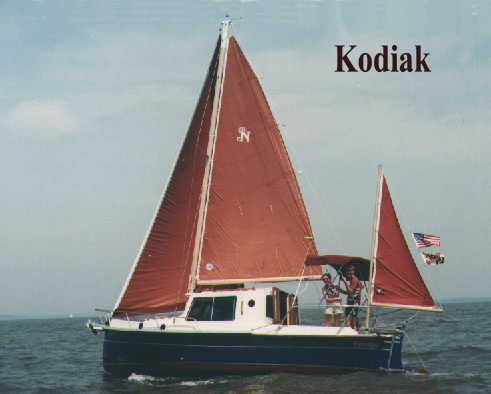 I own one and sail her all over the eastern end of Long Island out of Shelter Island. I am looking to trade up so if your looking... Sails very well, great coastal boat. The 53 HPS is an option for those with a big budget who want something from a top-notch designer/builder, but I personally can't get over the weird looks. The plump bow and aft 2/3rd's just look awkward. In Shannon's defense, most reviewers say the 53 HPS sails and motors well, which is a good trait and the interior is enormous. Any advice for good places to go to find used motorsailers? There's a ton on the east coast from Hurricane Sandy. I recently purchased a Fales Navigator and had it shipped back to WI. I had a surveyor go through it and was found to be mechanically sound just cosmetic damage. I picked it up for a fraction of asking price. I am doing a total refurbish and plan to run it as a sailing charter this summer in Door County, WI. Do your homework and you'll find a good old boat worth fixing. Good luck. There are not many in North America, but LM Yachts out of Denmark made some good pilothouse sailors. Chartered the IP 41 this spring, outstanding. Madam, however, insists next cruise min 2 heads, can't imagine why. Any suggestions under 50'? Thanks. Can anyone recommend a bareboat in or near Naples FL? While I haven't used them yet, I've looked into http://swfyachts.com/ and have been by their docks in Burnt Stores. Seems they have a decent rep and had a write up in Sail Magazine by Adam Cort a year or so ago when he charted an IP31.